Please allow 1-3 business days to build & ship your order. Need it Faster? Visit a local dealer near you. The all-new Pro X15 includes many of the same great features as our #1 selling cover, the Lo Pro, but with added style and performance. New 15 degree rails deliver an Xtra-low profile, flush-mount look on the truck bed, and superior-grade woven fabric provides a stylish matte-black appearance. The cover can be installed or removed in minutes, with no drilling required, and the unique self-leveling design feature allows for a more accurate installation. 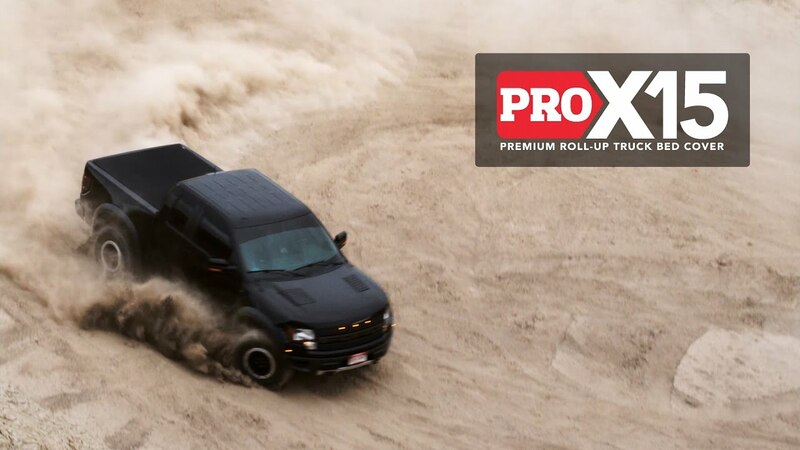 The Pro X15 is made in the USA and comes backed with a Lifetime Warranty. Still, have questions? Visit our FAQ section to learn more. Xtra Low Profile - X15 rails provide a distinctive flush mount look, and include a unique self-leveling design feature allowing for a faster, more accurate installation. Matte Black Fabric - Extremely durable, superior-grade woven fabric provides a stylish matte-black appearance. Inherent dirt resistant characteristics of the fabric help it stay cleaner for longer. Automatic Tension Control - Patented design allows the cover to maintain a tight fit and great looks in extreme temperatures and all weather conditions. Pro X15 mounts near the tailgate for easy access. Quick-Release System - The entire cover can be removed in seconds, without tools, providing true, 100% full bed access. Easy Operation - The anodized trigger latch requires only one finger to open the cover. Roll the cover closed with ease to securely store and secure your cargo. 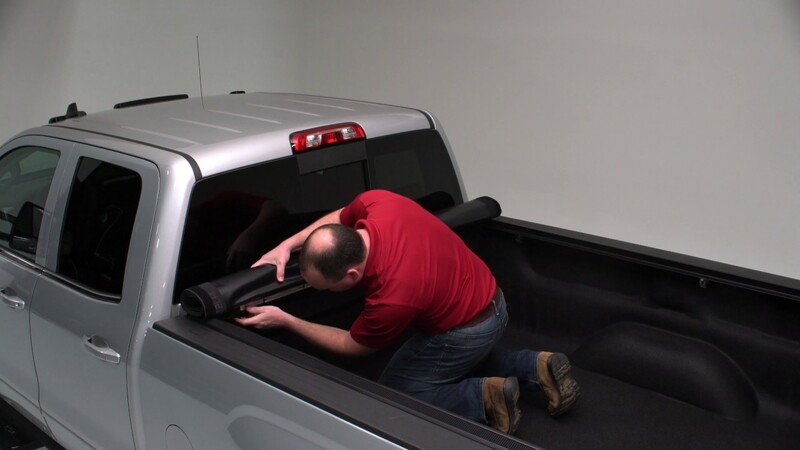 Please feel free to make use of the TruXedo Pro X15 Truck Bed Cover installation instructions below to assist you with the installation of your TruXedo Pro X15 Truck Bed Cover. You will find printed installation instructions to help guide you through the simple process. X15 rails provide a distinctive flush mount look, and include a unique self-leveling design feature allowing for a faster, more accurate installation. Extremely durable, superior-grade woven fabric provides a stylish matte-black appearance. Inherent dirt resistant characteristics of the fabric help it stay cleaner for longer. The anodized trigger latch requires only one finger to open the cover. Roll the cover closed with ease to securely store and secure your cargo.